“Please note: NY State residents will be charged 8.88% sales tax on checkout. 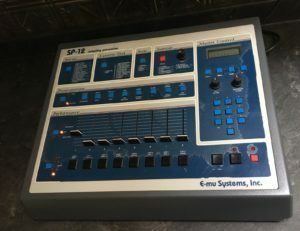 This E-Mu SP-12 Turbo (5 seconds total sampling time) is in excellent working and physical condition. 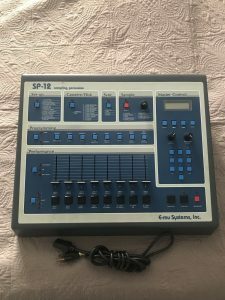 This particular unit has 6 switches on the back that can turn the filter on channels 1-6 on or off, for audio coming out of the individual channel outs and the mix out. -Disassembled and cleaned all button and pad contacts. -Installed a new transflective wide viewing angle FSTN LED screen (brighter than the original backlit display, and does not use an inverter for power so there is less potential noise in the audio). The screen is brighter than appears in the pics, I used a flash for the pics and it’s hard to capture the brightness of a backlit screen with a flash. 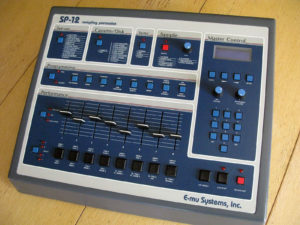 “Works great – excellent condition – a rare and still powerful machine with that classic crunch of 12 bit goodness. 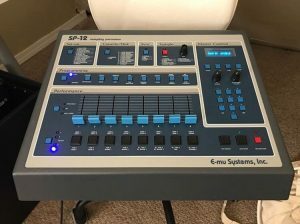 “For your consideration is a restored and modified SP-12 Turbo in very nice cosmetic shape with very few imperfections (see photos). -LCD removed, inverter removed (lowers SP noise floor). -Installed Noritake Blue VFD display with custom mounting (see powered on photo). Allows viewing angle from any angle up to a few feet away. Superior to LED. 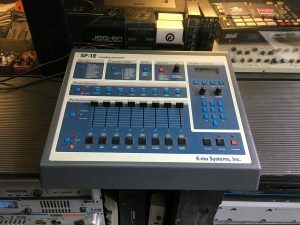 -Custom sky blue rubberized fader caps. -Volume, Metronome, and Sample knobs replaced with brand new knobs. 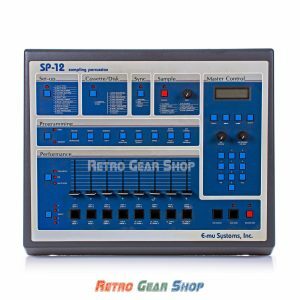 “For your consideration is a restored & modified SP-12 Turbo in excellent condition. It’s probably the sexiest one I or you have ever seen. 🙂 Why am I selling? I need to raise funds for an engagement ring (if you personally know me and are looking at this ad, don’t tell my girl! Haha!) Anyhow, short of that I’d never consider selling. •Internal battery replaced with a new mount that supports a standard 2002/3 style watch battery (brand new battery installed). •Custom rubberized sky blue faders. They look and feel amazing. 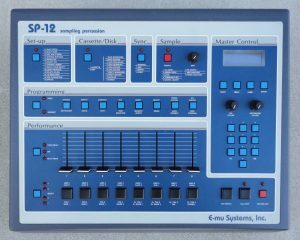 •Sample input mod allows the user to monitor the sample input by using the monitor/main volume knob. Quite useful and does not sound degraded when monitoring. •All output/input jacks cleaned and checked for noise with a scope. •Inverter removed from signal path which reduces overall noise floor. 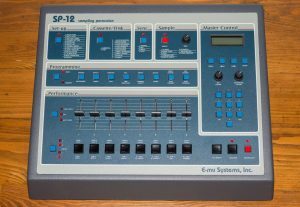 •Every slider, drum pad, and function button was pulled apart and cleaned one by one. The result is that every fuction button now responds in one press. No double pressing, hard pressing, jumpy selection, etc. OG SP users will understand that struggle and how rare it is for an SP to respond correctly when pressing function buttons. 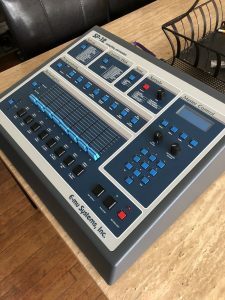 *Drum pad 5 requires slightly harder pressing to trigger compared to the others which are very responsive. Again, if’s stable and works, just requires being pressed just right or pressing a little harder. 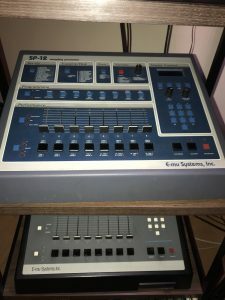 It is recommended that the future owner replace the original yet very well maintained sliders and drum pads to complete restoration to a like-new feel. It’s damn close as it is and studio ready. I am nitpicking on purpose so as to not disappoint even the ficklest buyers. The only other thing worth noting is that the nuts that go around the output jacks were removed by the previous owner. I never cared and liked the tighter low profile fit of my cables without them on. I had intended to put some red Neutrik ones on there but I ordered the wrong size (few mm to big) and said F it. I’ll include them though as a reference. I’ll also include a few extra slider caps/pots I have. 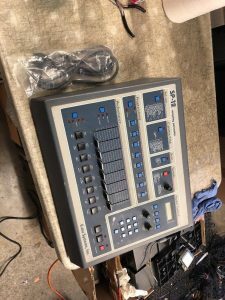 “Excellent condition. Some minor signs of wear to be expected for the age of this unit, but overall it’s quite nice. Be sure to check out the pictures to make sure you like it. 100% fully functional, recently serviced and checked-out by a pro tech. The only thing worth mentioning is the backlight is faint, screen is still readable but this is completely normal for the age of the unit and replacement screens can easily be found online. 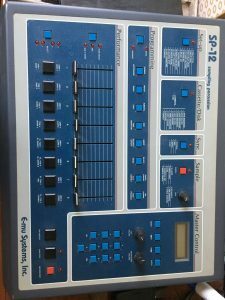 “Mighty SP12 Turbo: everything works. 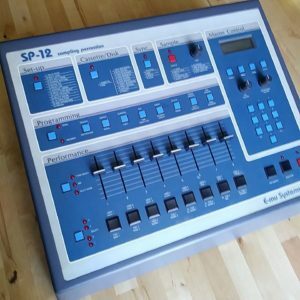 All LEDs, sliders, knobs and buttons. The sliders are in very good shape. I bought it from the original owner. Serviced last week, new battery, NOS slider caps purchased to a reputed seller and will include 5 original slider caps as spares. 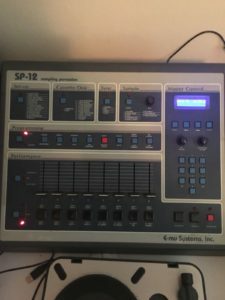 I have owned and used dozens of drum machines (beggining with a Drumulator in 1985) and to me the SP12 has the best workflow of all. 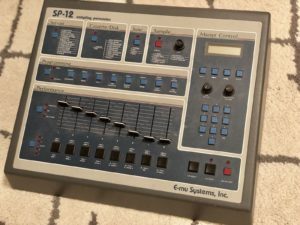 “This is a classic, vintage SP-12 made by E-mu Systems, Inc. Please review all photos. This is preowned but in great working condition. 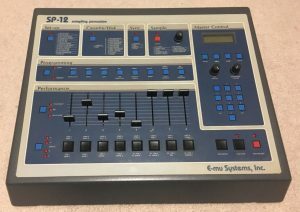 “This SP-12 is sold AS IS. IT IS NOT WORKING. 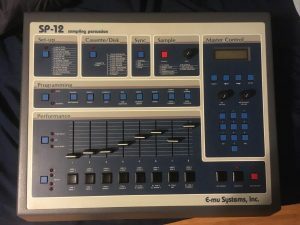 I got this from a friend a while back, it has never worked. It makes some strange noises, but some of the LCD info appears to show up. Replaced broken output 4 jack. Replaced incorrect fuse with a proper one. Completely refurbished all pads and replaced broken or missing parts. Completely refurbished all Function buttons. Sliders are jumpy and very sticky, installed 8 brand new sliders. A/D converter offset is totally wrong, ran diagnostics and calibrated offsets. 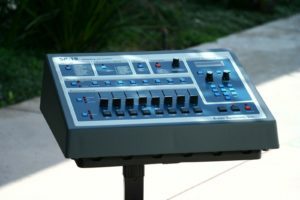 Cleaned master volume, click and sample input pots. 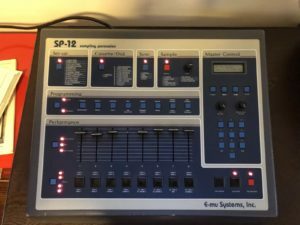 ” This is the cleanest SP12 Turbo I’ve ever encountered. 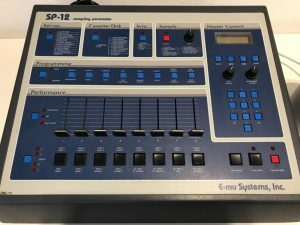 Immaculate condition, fully functional and serviced. All knobs and slider caps are present. 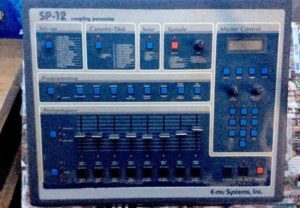 – 1 Commodore 1541 MK2 disk drive plus power supply and manual. “New OLED LCD, New Battery. Display Contrast MOD was installed for variable brightness level of the LCD. Unit was professionally cleaned and calibrated as well. Only minor aesthetic point that needs to be addressed is that the last slider on the crash is slightly different from every other slider.